First, lets start with the update, shall we? Why have I been nowhere near this little internet space (or any others), for what seems like weeks now? I shall explain. We had no intention of doing any sort of diy, renovating, or work on the house of any kind, before we go away in October. We had just planned to focus on the trip, and the wedding, and make sure all was fine with that. Then, Paul's mum and dad very kindly offered to buy us a bed and mattress as a wedding present. We hate our bedroom -and bed, so were touched by this...however, it meant that the whole room really needed to be done first. So. For the past couple of weeks, I've spent every spare minute filling up and plastering around windows, where the horrible old plastic frames have been removed. No more frames, just clean plastered edges and a nice wooden window sills. Oh, and I say windows, because I thought since we were at it, we should do the hall too! I know...I've given myself all of this work. I've plastered walls to make everything nice and smooth, sanded down any imperfections, I've primed and painted, and we've ordered new carpet to go down. All of this, had to be done, before the new bed arrived. 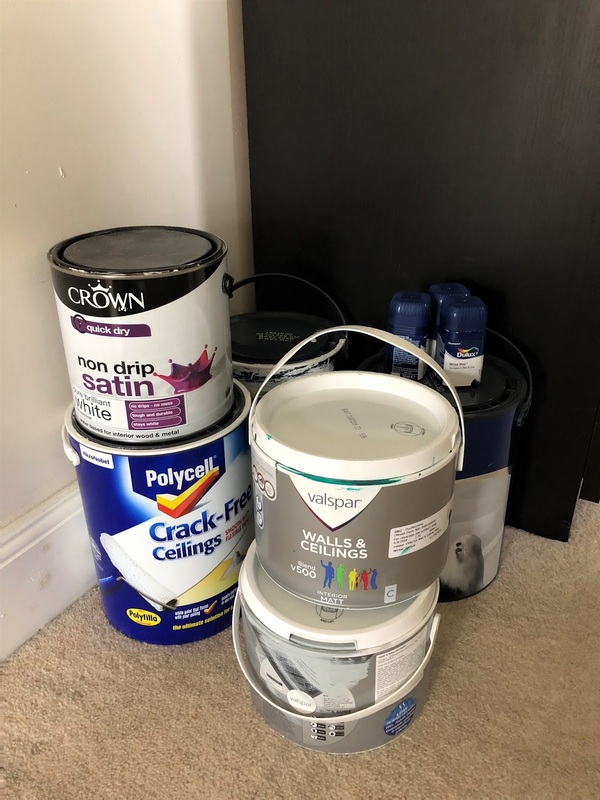 Oh, and I should also mention that I've primed and painted half of the bedroom twice over, due to an issue with a paint we had mixed up. It did make sense to do it this way round though, instead of moving everything after. Plus, this way we have a beautifully decorated room to come home to, after we return from our wedding trip. So, I've had no time. The decorating, and cakes I'd agreed to make this month, have left me without time to do much else. I'm not complaining though!! My nails are a mess, and my legs are bruised from going up and down a ladder, but things are starting to look amazing, and it's making me so happy!! The new bedroom carpet. It comes on Wednesday the 22nd, and I can't wait to walk around and feel the soft fluffy pile on my toes. The bed will come not long after, I think within the week. The mattress will take a little longer, but that's ok, it'll be worth the wait. 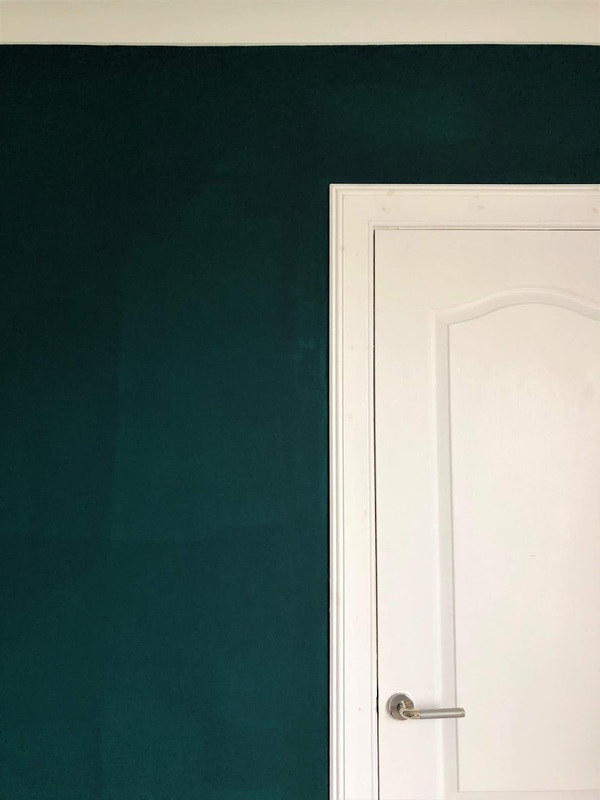 The colour of one of the walls, in our bedroom. It's such a statement colour, and I'm so in love with it. Off of the decorating subject fro a minute, I've chosen lace for the sleeves I'm having added to my dress. I don't think I've actually told you that yet!? If I ever have time to sit and finish the post I've started about it, you'll find out all the wedding dress details. So to wrap up this post. It's been a crazy few weeks, but very happy productive ones. I will soon enough be finished with everything that I can tackle, just the hall to paint now, and skirting boards. After that, it's just a case of things being fitted or delivered. I'd like to get back to some regular activity on here, and other places too...I've missed so much! So hopefully once this crazy month is over, life will go back to normal! OH...and the Bake Off is back on the 28th of August! The happiest of times. Happy Friday, you beautiful people! !